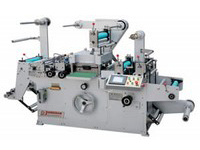 Adhesive label die cutting machine can make the printed package more convenient to use by cutting the entire cardboard or printed products into certain shapes of individual graphics. Due to high accuracy of positioning function with the error of less than 0.15mm, it shows great cutting effect. 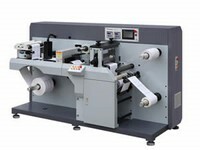 Our adhesive label die cutting machine is classified as MQ-320 type and TOP-300 type. The latter type possesses larger cutting area of 350mm*290mm and higher power of 8KW in comparison to the former type which has only 3KW power and 300mm*290mm cutting area. 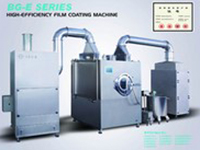 Jiangnan Enterprise is an experienced adhesive label die cutting machine manufacturer and supplier in China. 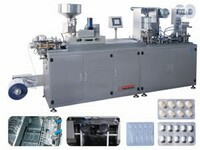 We provide various types of products such as tablet coating machine, blister packing machine, automatic cartoning machine, and automatic medicine packaging production line. 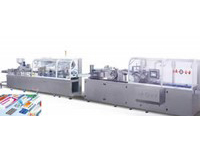 AL-PVC/AL-AL Blister Packaging MachineNewly launched by our company, the DPP series of AL-PVC or AL-AL blister packaging machine adopts variable frequency speed regulation, control technology of integration of mechanics, electronics, light and gas, and two patented technology. 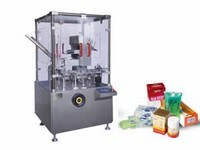 Designed and manufactured according to the requirements of GMP, this packaging machine has passed the EU CE certification.